I mentioned somewhere the other day that I had picked up a copy of Heligoland. This is a story of an island close to the coast of Europe and about 290 miles from the English coast. It was populated by about 2,000 people who spoke a language closer to English than any other. 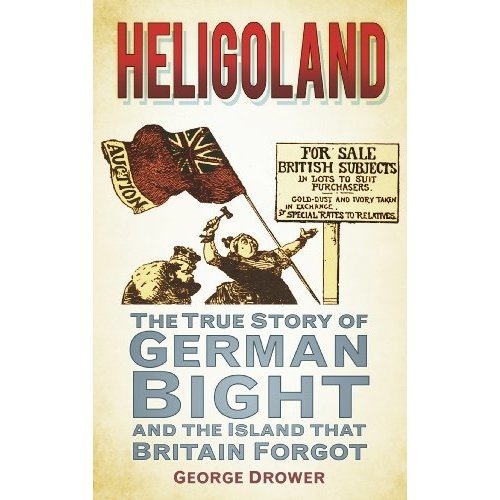 The importance of Heligoland is that it is at he end of the Kiel Canal. England took over the island in 1807 and it was instrumental in defeating Napoleons Continental System. However, in the late 19th Century, Lord Salisbury, the English Prime Minister, traded the island with Germany for some territory in Africa. This was done without reference to the islanders, one minute they were English, the next they were German. I still have a fair bit of the book to read and I am sure that I will find other parts of it frustrating, such as the English using it as a practice bombing area after World War 2. During that war, the island was the first target for English night bombing. There are some good scenario opportunities through the book, such as HMS l’Amiable chasing off some Danish privateers. I bought the book in a Kindle version (my preferred method of reading at the moment). The downside with the Kindle versions is the lack of maps and illustrations in a lot of cases and this book is one that in hardcover has a number. I can, however, recommend the book – well worth the read.